Transferring balances to a credit card with a low- or no-interest introductory period could save you thousands of dollars, or put you further in debt. Credit card balance transfers can be an efficient way to save hundreds, or even thousands, of dollars in interest charges. In fact, as long as consumers review the offers carefully and acquire a new card for the right reasons, it’s difficult not to realize big benefits. However, it’s also easy to get caught up in the concept of a balance transfer without fully understanding the deal being offered by a credit card company. While you could make a balance transfer any time between your current cards, in general, the smart thing to do is to take advantage of a balance transfer deal from an entirely new card. In the hopes of acquiring new customers, credit card issuers regularly offer promotions that could save you money in the long run, depending on how much debt you have and your ability to pay it off before the promotion period ends. We explain the pluses and pitfalls to keep in mind below. To know whether a balance transfer will make sense for you, you need to do a fairly simple calculation between what you’re paying now on your current card and what you’ll be paying by moving that balance to another one. Consider this example: You have $4,000 of debt on a card with an 18% APR that you pay $200 towards every month. If you make no new purchases on this card, it will take you over 24 months and $791 in interest to eliminate that debt. But let’s say you transferred the entire balance to a card that has an introductory offer — for new cardholders only — of 0% APR for 15 months on balance transfers (with a $0 introductory balance transfer fee promo). When that period ends, the APR will go up to 18%. In this scenario, repaying $200 a month will cost you about $47 in interest (a savings of approximately $744) and eliminate the balance in 21 months. Ideally, you would try to pay off the whole thing before the 15-month intro period ends — and in fact, you should be more likely to achieve that goal because you will not be seeing the defeating rise of interest charges on your bill each month during that time. Tip: Calculate your potential savings with this handy balance transfer calculator. 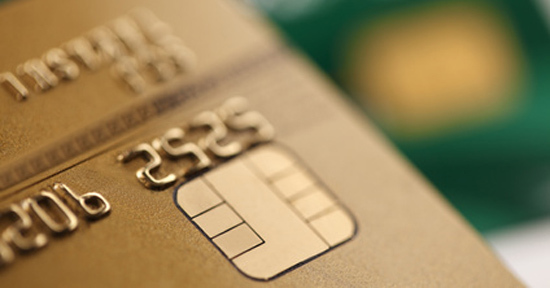 Applying for a balance transfer card causes your credit score to plummet. Not true. Although applying for a new credit card does generate a “hard credit inquiry,” which will negatively impact your credit score, the impact is usually negligible, typically lowering your FICO score by just a few points. Keep in mind, that does not mean you should open several new credit cards in a short period. The new card might raise its interest rates at any time. Federal law prohibits card issuers from using this kind of “bait and switch” tactic. As long as you abide by the cardholder agreement, a card promising an 18-month, 0% intro APR must keep that promise. The APR that applies after the intro period could change, however. Do the math. If you have a good credit score (700 or above), you’ll probably qualify for a balance transfer card with an introductory 0% APR, as well as one with no balance transfer fees or annual fees. Even so, do some calculations to determine whether you can pay off the balance before the introductory APR expires. The more you can maximize your savings, the more sense it makes to apply for a deal. Look for cards with the longest 0% intro rates and, if possible, regular APRs that are lower than the industry standard. Do know when to pass. If you can’t aggressively pay off the balance or don’t qualify for a good intro offer, a balance transfer might not be a good idea. Or you may have a pretty small balance (say, just $1,000), and the cost of making the transfer would cost you more in time and money than if you had just paid it off over time. Do beware of balance transfer fees. Most cards will charge balance transfer fees, typically 3% to 4% of the sum transferred to the new card. Obviously, these upfront fees will eat into your potential savings, so look for cards with no balance transfer fees or – if you don’t qualify for such a card – factor the fees into your calculations. Do complete the transfer by the deadline. Most cards give new cardholders just 60 days to take advantage of the promotional interest rate, so don’t dawdle. To initiate the transfer, you will either have to phone the card issuer or use the convenience checks mailed to you by the company. Don’t miss payments. In most cases, a missed payment will negate the issuer’s balance transfer deal – i.e., you’ll immediately lose the promotional APR and may also be subject to penalties and fees. Don’t make new purchases on the card until the balance is paid off. For some cards, only the transferred balance is subject to the low- or no-interest promotional offer. Additional purchases immediately accrue interest at the regular APR if you carry a balance. This is one of the biggest mistakes made by cardholders who do balance transfers, so make sure you understand the details of the intro period and whether it applies to purchases. Don’t use the card for cash advances. As with new purchases, cash advances usually don’t qualify for promotional interest rates. Worse, cash advances often accrue interest at a higher rate than purchases of products and services. Note: if the balance transfer card sends you convenience checks, make sure they’re for balance transfers and not for cash advances. The truth is, you can use balance transfers to your advantage. Just realize it’s important to comparison shop. Don’t accept the first offer that comes your way without first checking to see if it’s the best deal for you. 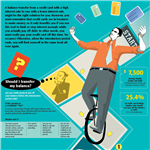 Leave a comment about Save Money on Credit Card Debt with Balance Transfers? 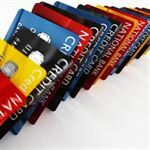 Share on Facebook "Save Money on Credit Card Debt with Balance Transfers"